Two southern delicacies combine to make one awesome summer meal in this bowl of fried green tomatoes with goat cheese basil grits. Whoever said you can’t teach an old dog new tricks. Or…an old(er) food blogger how to heat oil to unimaginable temperatures and then stick stuff into it at the risk of losing her limbs all to make it more delicious. Hi, my name is Joanne and I have a fear of frying. And flying. But that’s another support group for another day. But when life hands you green tomatoes (and by that I mean, when you impulse buy them at the farmer’s market because CUTE), what else can you do but fry them? Frying is a life skill I’ve largely appreciated not having because the less capable I am of doing it, the less fried food I’ll consume. And I’ll get to keep all my epidermal layers while I (don’t) do it. WIN/WIN! But after eating my first fried green tomatoes in Charleston last year, I knew I wouldn’t be able to live myself if I didn’t try to make them myself at least once. And of course, because I was feeling all sorts of overly ambitious, I decided to teach myself how to make fried green tomatoes and grits all in the same day. Go big or go home. I feel like my southern relatives would approve. 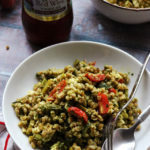 I can’t claim a single ounce of authenticity for either of these two recipes, other than the fact that they are largely based on those found in the Tupelo Honey Cafe cookbook, which features recipes from the eponymous restaurant in Asheville, North Carolina. And if they’re good enough for them, they’re good enough for me. 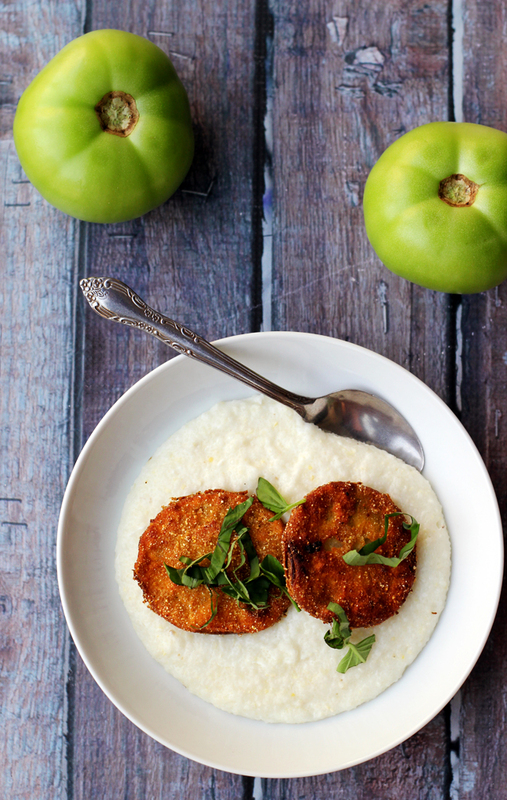 It doesn’t hurt that the fried green tomatoes came together in a painlessly easy way, and were perfectly crispy smoky on the outside and warm and tart on the inside, while the grits were like liquid cream. In the interest of full disclosure, I should note that the.boy was not that into them but he claims to not like cooked tomatoes, so I’m fairly certain his opinion should be disregarded. For the tomatoes, core the tomatoes and then slice off each end so that they are flat on top and bottom. Cut the tomatoes into 4 round slices each and set aside. In a small bowl, whisk together the cornmeal, flour, paprika, salt, and black pepper. In a separate bowl, whisk together the egg and the milk. Dredge each tomato slice in the flour mixture, then dip it into the egg wash and then dredge in the flour again. In a heavy saute pan, heat the oil until bubbling. Place the battered tomatoes in the pan and cook for about 1-2 minutes per side, or until golden brown. Drain on a paper towel. Serve atop the grits. For the grits, in a large pot, bring the water and salt to a boil. Whisk in the grits and butter and then allow to return to a boil. Add in the milk. 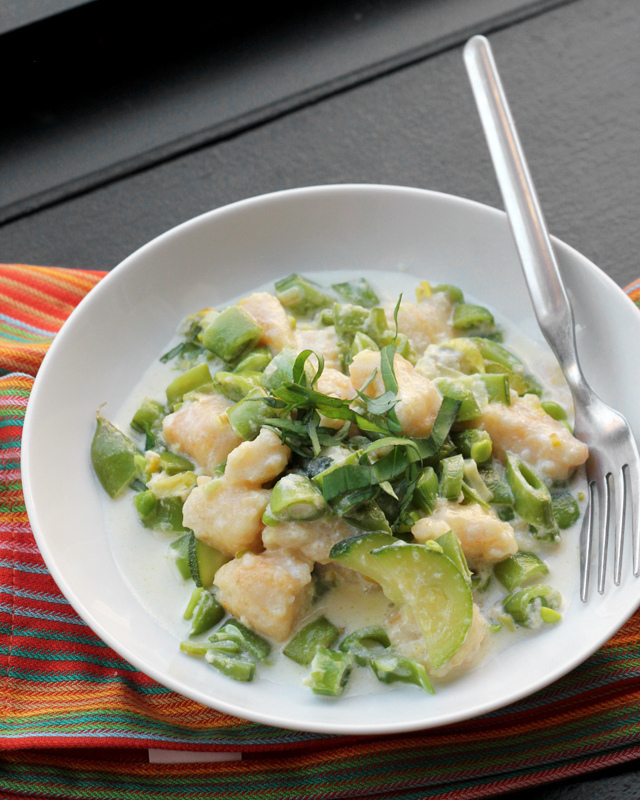 Lower the heat and simmer for 5 minutes, or until creamy. Remove from the heat and whisk in the goat cheese until thoroughly combined. Serve garnished with the basil and the fried green tomatoes. I’ve been wanting to try fried green tomatoes for so long now. These look to-die-for. Love that you served them with the goat cheese grits. Yum! I grew up eating grits, since my mom is from Texas. But I have never really gotten into fried green tomatoes. I am inspired by this combo, and that you did it all in one day. Most impressive. I have a fear of frying too, but those tomatoes look incredible! I am not a fan of grits, but may have to try them with the goat cheese. Everything is better with goat cheese, right? Goat cheese grits?! How fun! YOU FRIED SOMETHING!?! Omg. What a momentous occasion!!!! You’d think the.boy would be jumping for joy for a meal made with hot grease…but if you don’t like cooked tomatoes I guess you can’t change that. I love this!! Get it girl!! 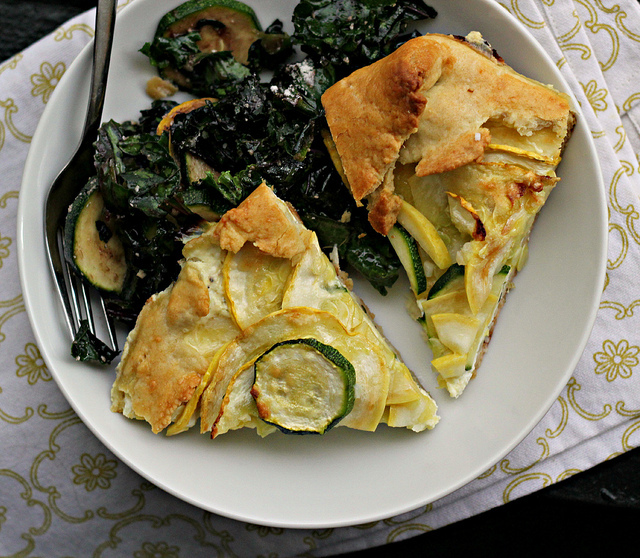 Love this southern inspired dish!! I am afraid of frying too – I’m scared the oil is going to burn me. I’ve been wanting to check out that cookbook too. Do you think it is worth buying? This looks gorgeous!! I bet the goat cheese makes the grits so decadent. The tomatoes are so perfectly fried too. Love it! I also am kind of afraid of frying but agree that I’m better off with that fear… but these look fantastic and your photos in the post are extra gorgeous! Oh my goodness. I want/NEED these tomatoes in my life 24/7. 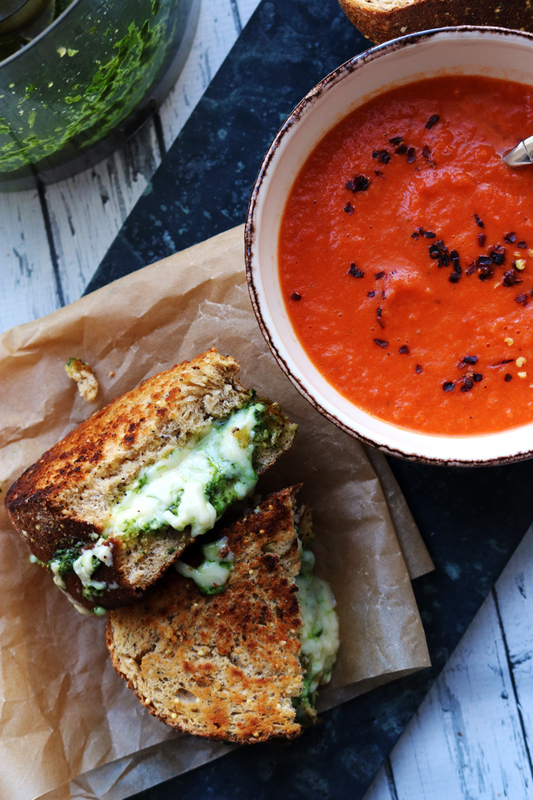 Totally perfect Monday food. 🙂 Gorgeous pics as always, Joanne! This dish makes my heart sing!!! Two of my favorites together plus goat cheese?! YES PLEASE. OMG this sounds soooo soooo good! Goat cheese grits! Sign me up! Damn girl you know how to make the BEST vegetarian foods! I’m seriously drooling over here! I used to work at a place in NC that made fried green tomatoes. Delicious! This makes my southern heart happy! Good for you for really frying them, I’m TERRIFIED that I’m going to burn my house down. I have an obsession with fried green tomatoes!! Truly, I wish I was from the South. Can’t wait to make these!! Great combination This is a big bowl of comfort food as far Im concerned. My first fried Green tomato was made last year when I received green tomatoes in my CSA. I am also afraid of flying and frying. Though I may try to overcome my fear of flying to make this! As a Southerner, I can say you did good. Real good. This is such a great pair Joanne! I don’t love frying either, but it would be totally worth it for these. I’m loving the combination and can’t wait to taste it. I hope I can get the green fried tomatoes right though – I’m not good at frying either. I’m not a skilled fryer either but after a certain boy clicked a deep fryer on the gift registry without my knowledge I’ve come to use it once in a while. I shall try these tomatoes on ours growing on the porch!! I’ve never had fried tomatoes. What an awesome dish! Fried green tomatoes are one of those foods where I’m like “I shouldn’t like this … but dang, I do!” And I love your take on them. By the way, I totally relate to your fear of frying. I just make Peter drop food in the hot oil while I run like heck. 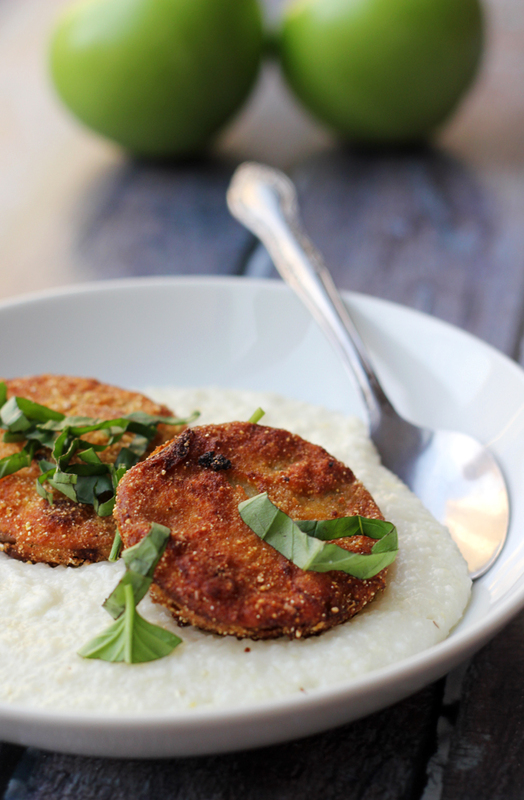 I love fried green tomatoes and they sound especially good paired with these grits. My hat’s off to you, lady, because I’ve always been hesitant to fry as well. I LOVE fried green ‘maters. I had them for the first time in New Orleans and absolutely fell in love. 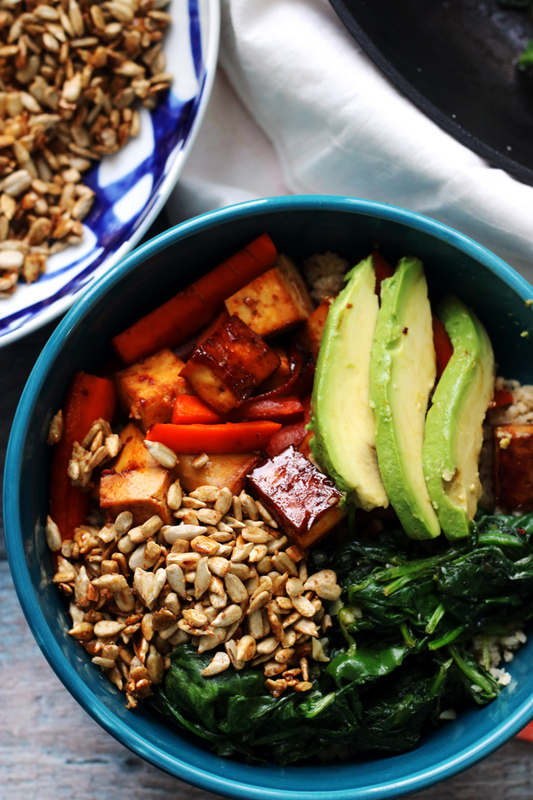 This bowl is calling my name! Your photography here is stunning. What kind of lens are you using? I ask not because I think it’s stunning BECAUSE of the lens (clearly you’re just a great food photog!) but because I’m having issues getting a whole scene in with my nifty fifty. ALSO this looks incredible and I am drooling here, THANKS. I am a northern transplant, exiled in Florida for many decades now. 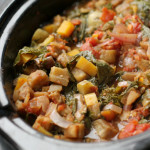 I can tell you, I got along with southern cooking straight off – it’s so good! You did a great job here and I would tuck into that in a heartbeat. Grits are so goooood! Hey, I just made an appetizer you would like and be able to adapt (you’ll need to adapt it cause it has bacon) but it’s just one component. If you eat texurized vegetable protein I think you may like this one. Goat cheese stuffed dates….I can bring them to your next Southern cooking party! That’s one of best fried green tomatoes I have ever seen, Joanne. A perfect pairing with goat cheese grits. I need goat cheese with fried green tomatoes, it’s a must. What a lovely idea with the grits!! Oh man. These tomatoes look seriously drool worthy. 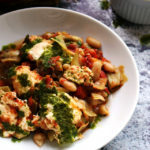 Love, love, love this recipe!!! Just so you know, fried green tomatoes make excellent BLTs. Basil Goat Cheese grits is such a cool combo! Love everything about it. I had my first fried green tomatoes last year in Atlanta and I was hooked! Can’t wait to give your recipe a try! I’ve never fried green tomatoes. I must be missing out for sure! They look SO good! Have a marvelous Monday Joanne! They look like two crispy-looking golden coins of deliciousness! Ha ha ha, cute! I don’t have fear of frying, rather I love fried foods. I must try this recipe very very soon. 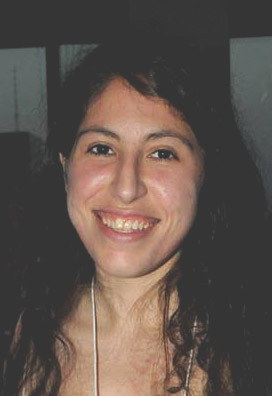 Highly ambitious and what a success! I too am a Mageirocophobic – in the frying category… but not an aviaphobic. I’m so with you on being afraid of fire!! Angrily spitting pans of hot oil are no joke! I’m not a huge fan of tomatoes, but I’ve never met a fried food I didn’t like so I bet I would love me some of these. And the grits – yummmm!!!! I mean frying. Not fire. Sometimes I can’t type. I just discovered green tomatoes and I am so loving them! I have yet to try fried green tomatoes though, but I think it is about time! I’m embarrassed to say that I’m from the south and I’ve never eaten grits either! 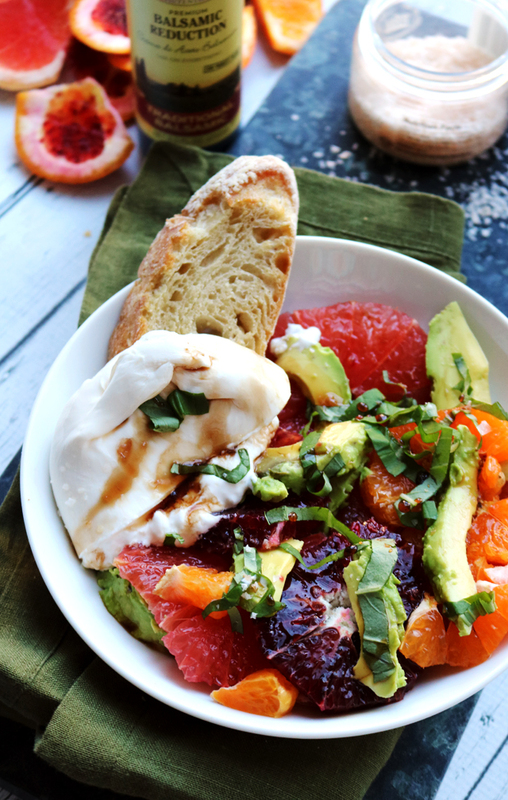 I’m in love with goat cheese though, so I know I would love this entire meal! Girl, you’re making me want to eat grits. This looks so good! I love frying but I avoid it for diet reasons! I would love to bite couple of these tomatoes though! I definitely approve. Two of my very favorite foods. Looks amazing, Joanne! 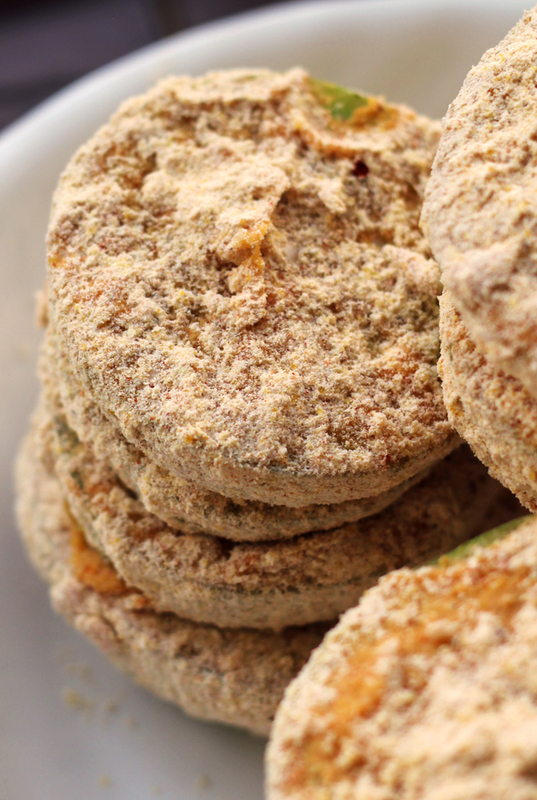 Mmmm Mmmm–I do love me some fried green tomatoes. All I need is a bottle of chipotle tabasco and I’m ready to dig in! Looks terrific, Joanne! I have a reluctance to fry, too, but you make these look most worth it. I would’ve totally impulse-bought those adorable green tomatoes! Maybe it’s a good thing my farmer’s market is no where near as extensive as yours. Anyway, great job on the tomatoes and the grits looks delicious! Prior to the movie “Fried Green Tomatoes” I had actually never even heard of this food. Sheltered life? What can I say…. but then, I HAD to have one. Of course. I fell in love. Of course. I haven’t made them in years and now you have me craving them. BADLY. Flying? No thanks. Don’t even go there…. I’ve only had them once when good friends decided to move to Georgia and they had all their friends over for a farewell dinner laden with southern delicacies like this. I don’t know why I don’t think of making them more often because they are delicious! I’ve never made fried green tomatoes before, but these beauties look so yummy! I might have to get over my fear of frying and make a batch of these. Also love that you added goat cheese in these grits! 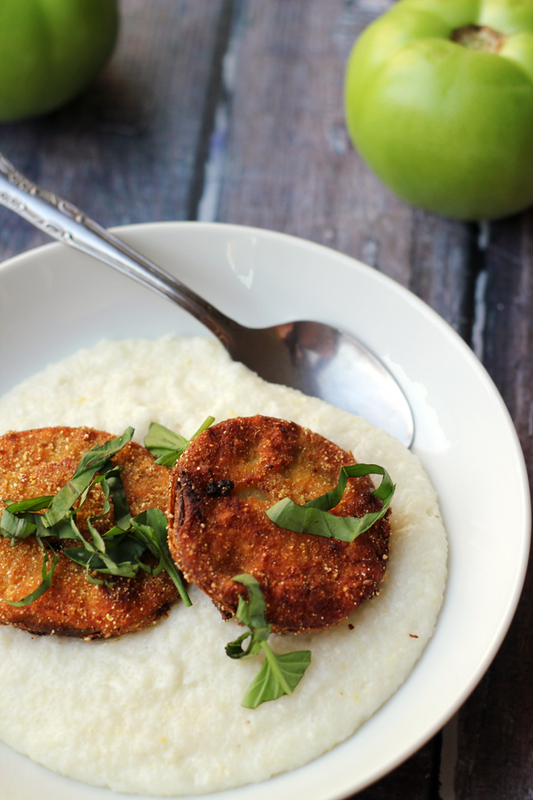 I’m not a huge fan of fried green tomatoes but I’ll eat bowls of cheese grits any day of the week! Yes to all of this! However I am also afraid of the fryer…. Looks amazing, Joanne! Love the pics and these green tomatoes! Wish I had a few of these in front of me now! They look perfectly crispy and so delicious! I have never eaten fried green tomatoes. That is actually on my list do one of these days. 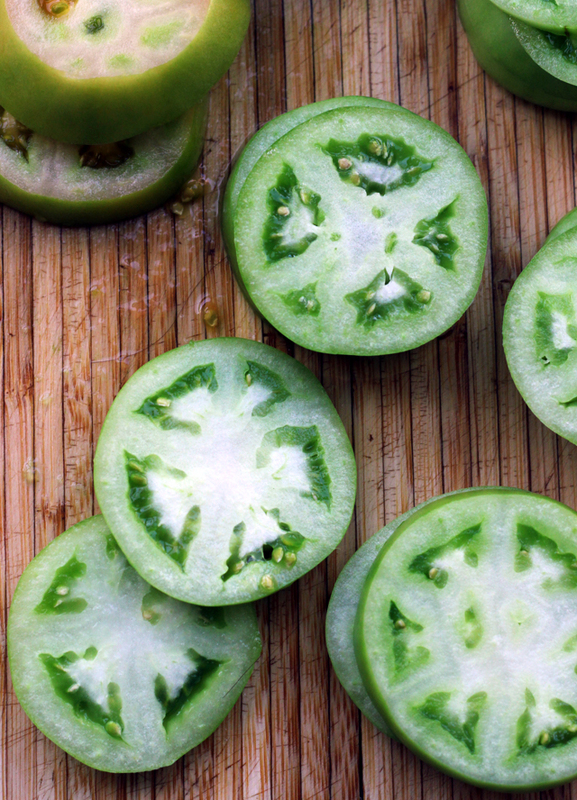 Your fried green tomatoes make me want to eat them right now. Wow since I moved to the South, I am just getting into the grits thing, but who can resist the fried green tomatoes? amazing! Also, we visited Asheville, NC last month and stayed at a famous Hotel at the top of the mountain ( the name just slipped my mind). Lovely town to visit! I, too, have a fear of frying, and burn scars on my arms to show why. :-\ Might have to face the fear for these, though. I mean, they look amazing. And goat cheese grits? Swoon. these grits sound so good! i had some goat cheese grits this weekend at tulepo honey, a southern restaurant chain (well, chain as in 5-10 locations…go there if you’re ever near one) and they majorly were a disappointment. 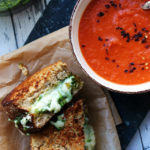 but i’m sure yours are amazing- love the basil in there! Hi I’m Consuelo and I’m afraid of frying too. Hot oil = yours truly cries like a baby. BUT these tomatoes look like heaven, so I think I could risk a couple of limbs… I have lots of them anyway. Also, I’m thinking that the.boy and I wouldn’t be the best-est of friends because cabbage and cooked tomatoes are LYFE heheheh. I love that you served them over grits! They look perfect. I will gladly help the.boy out and eat his share! 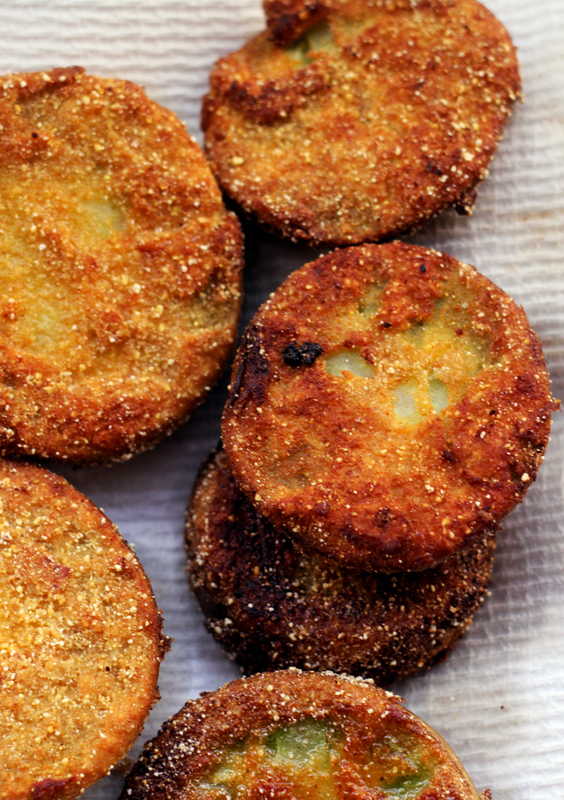 Fried green tomatoes rock my world – I need some ASAP. So lovely and crunchy looking and I like the fact they’ve got paprika in them. I’m Kelly. I’m also afraid of frying. However, I really love fried foods so I think this is life keeping my consumption in check. Youknow, just last month I wondered where people bought green tomatoes. A farmer’ market never occurred to me. Good to know. you’ve done classic southern cuisine proud here, joanne! 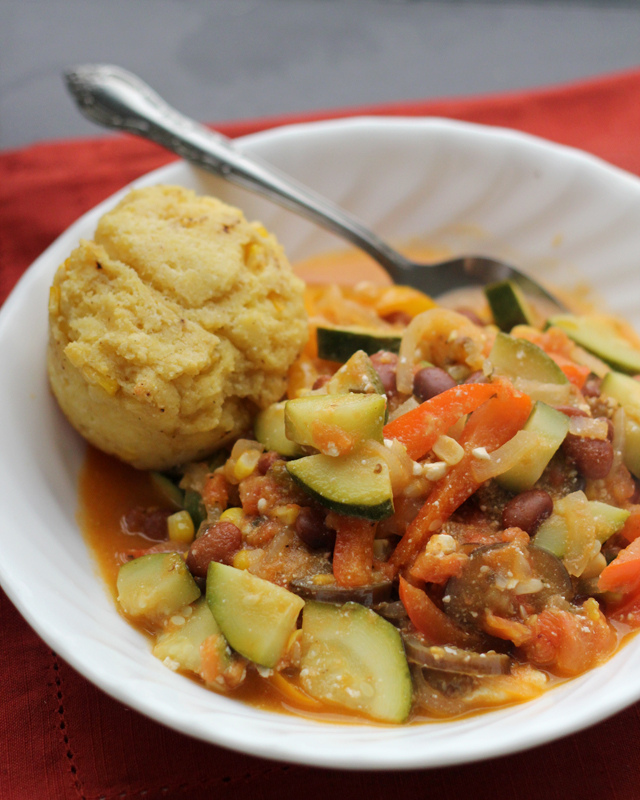 I just made this tonight for dinner and tomatoes and grits were a big hit! It was my first time frying anything. 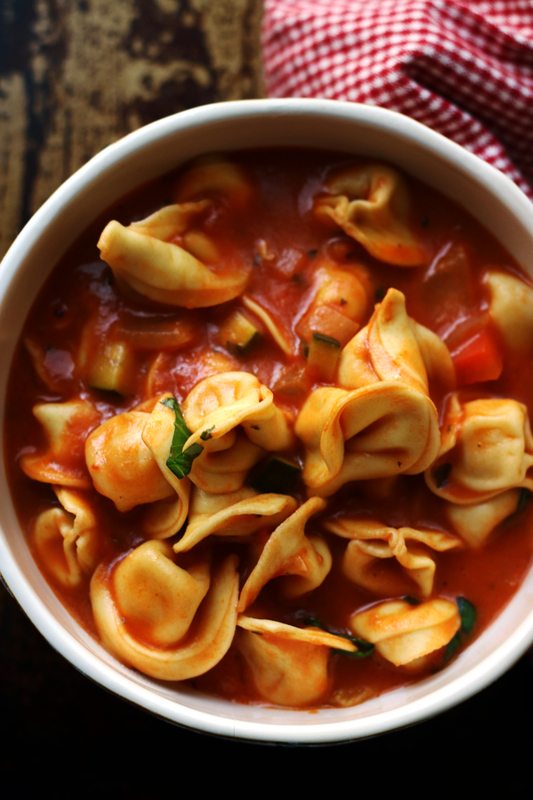 Thanks for the yummy recipe! Love fried green tomatoes! What a tasty meal! I made this recipe tonight. It got rave reviews. Don’t be afraid of frying! I want to try it again and make my slices more uniform and try to get more breaking on the tomatoes. I also added some Cajun spice to the dredge. Just because it says green tomatoes, you don t have to use totally green ones. Use a hard to the touch tomato that is tinged with pink. Wow! This adds a bit of sweetness and great flavor. This tip I got from a 90+ year old southern lady. I made this with “regular” cheese grits and my husband loved it! !